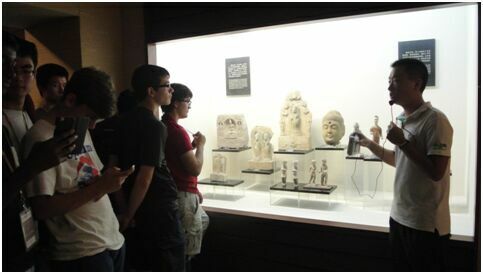 For culture class today, the students took a trip to Xiamen University’s Museum of Anthropology, only about a five-minute walk from the classroom building. 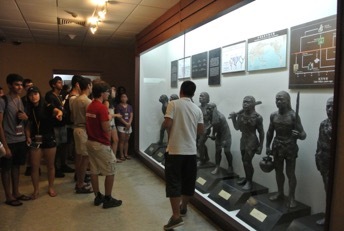 The students enjoyed learning about different theories of human evolution and migration, as well as seeing a variety of artifacts from as early as the roughly 4000-year-old Shang Dynasty all the way up through today. 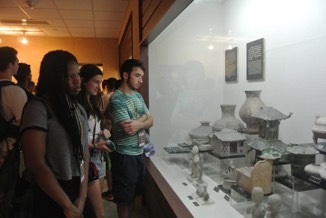 Among these artifacts were bronze vessels, pottery, weapons, and porcelain. 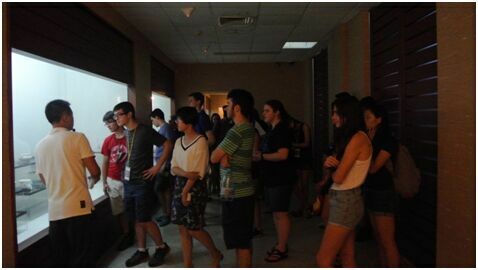 It was certainly an interesting and educational experience for everyone. 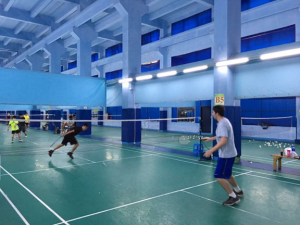 Later, after classes and tutoring ended, the group participated in another buddy activity, this time with high school students from Xiamen Foreign Language School. 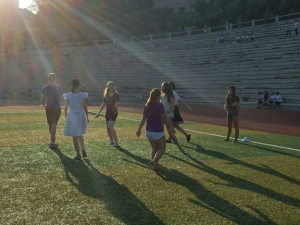 For the first half-hour, all the students divided into six groups consisting of both American and Chinese students. 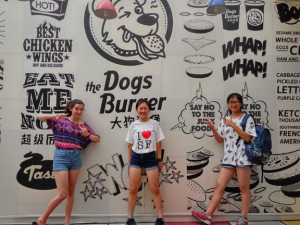 They then used as much Chinese as possible to discuss one of six randomly-assigned topics, including government, environment, economics, and entertainment. 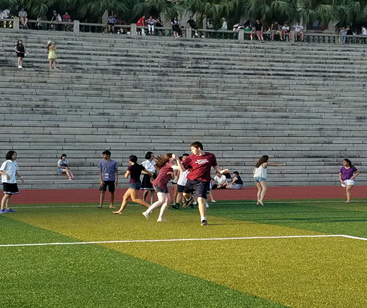 After thirty minutes, the students could choose to stay indoors to continue their conversations or head out to the field to play capture the flag. Each team included American and Chinese students, forcing the NSLI-Yers to use Chinese to explain the game rules and strategies to their teammates. 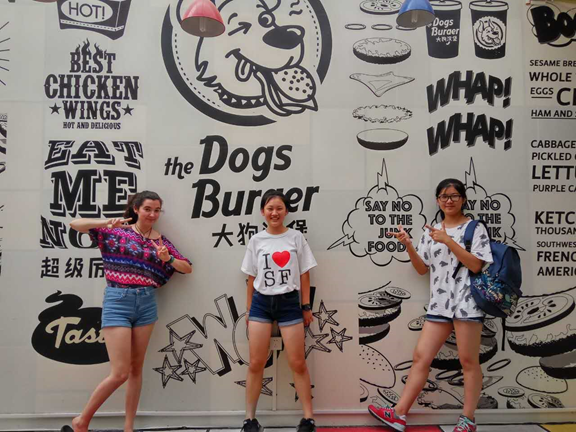 Everyone had a great time making new friends and applying all of the new language skills they’ve been learning in class!